I have a naming convention for the hard drives of the computers I own. It’s quite a simple one. I name them all after psychotic computers that appear in films. You may instantaneously recognise one of the names on the list and then try to figure out the others. One, isn’t that psychotic but it represents nice symmetry and it’s the only one that’s not portable. That one also helped figure out what happened to another one on the list. The order isn’t important but the important thing is who they are and what they did to make the list. The list is quite short, I don’t own that many computers. Now to get started on the list. The first is probably the most famous of psychotic computers we have ever seen in film. Probably the best known computer to go awry. First activated on January 12, 1997 at the HAL Laboratories in Urbana California. He was production number 3. Programmed with conflicting orders that made HAL turn on his human charges. Turning the computer schizophrenic whilst trying to cope with both parts of his programming. The mission and not telling the crew the real reason for the journey. He had, what the books described as, entering a Hofstadter-Moebius loop. HAL’s ultimate destruction was in helping save the crew of the Leonov who was sent to try and reactive him after Dave Bowman performed a “computer lobotomy” on him by disabling his higher functions. Not truly psychotic but in 2010 Dr Chandra used HAL’s twin to help try and discover what happened to her “brother”. We never discover what SAL’s fate is but we have to assume that she made it through the ordeal and came out of the experiment still in a working state. Possibly an obscure one. 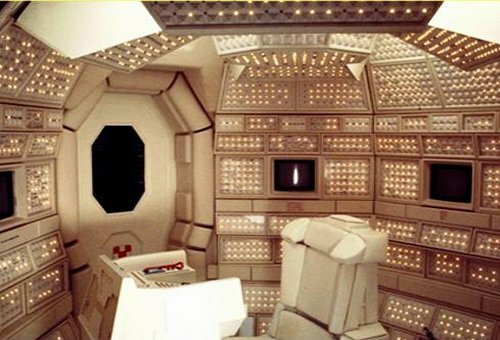 This is the main computer of the Nostromo. Pronounced “Mother” and was programmed to divert the crew to a barren rock, LV-426, in the middle of nowhere where “The Company” wanted them to pick up something highly dangerous and then smuggle it to Earth. What could possibly go wrong with this insane plan… Quite a lot actually including her own destruction. The full name of “Mother” is actually MU-TH-R Computer series 6000 Model 2.1 terabyte AI Mainframe. With storage space of, in today’s standard, just above a mid-range computer’s hard drive. You have to remember when the film, Alien, was released in 1979 most home computers had around the 4 kilobytes of ram not the 4 gigabytes that they do 35 years later. Today that 2.1 terabytes would be more on the order of petabytes or more. This isn’t nearly a computer but I had a spare hard drive [I ordered the wrong size so I got a case for it and made it into a portable one]. So calling after an android would be the best way. Originally it was going to be called N6FA21416, her indent, but that was too obscure. The android is a “pleasure model” and as such it does contain a lot of video, nothing disgusting but just bad movies to watch! 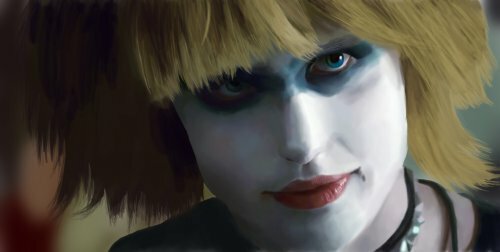 She appeared in 1982’s Blade Runner where she tried to kill our hero, Rick Dekard by using her thighs to crush his skull and strangle him. As with the rest of the computers, bar one as we don’t know her fate, she is destroyed by a gun blast to the chest.